Interiors Furniture is a major Dubai furniture company, which is also among the oldest furniture companies of the city, established as early as in 1968 when Dubai was just starting to develop into that huge metropolis which we can see today. Being part of one of the largest retail and construction groups of the emirate called Easa Al Saleh Group, Interiors Furniture is really one of the main furniture companies, which deals with high profile luxury furniture. Let us see what is worth knowing about Interiors Furniture and where can we find them in Dubai? •	Premium: this collection contains the highest quality luxury sets, which are really worth looking at. 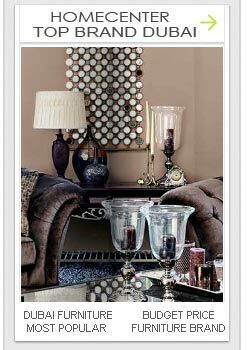 •	Accessories: This collection contains all sorts of lamps, pillows, bed linen and other quality decorations. If you look at the collections of Interiors Furniture, you will soon realise that they are generally inspired by one decade. We can see baroque style antique furniture with its rustic forms and we can get to see Victorian style wooden sets in the showroom. Also, you can notice some great sets which were inspired by the more minimalist fashion which was famous around the Thirties-Forties. In the Dining section you can see great rustic round tables offered for families with a moving plate in the middle, which makes the self-service all the easier. And even though the majority of Interiors Furniture Collection includes antique items, they are not limited to these: the furniture company offers modern furniture and sets for its clients, doing its best to keep up with the latest trends. Apart from their great furniture collections, Interiors Furniture also offers interior designing services for its cliens and as part of their service, the delivery and fixing of their furniture in free of charge. 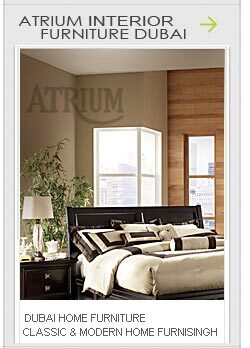 The company offers a one year guarantee for its furniture. Interiors Furniture has its showrooms, apart from the Dubai one in Abu Dhabi, Al Ain, Sharjah and Ras Al Khaimah. The Dubai showroom of the furniture company is located along Umm Hurair Road next to Al Maktoum Brigde being located opposite the Dubai Television Station. The owner of Interiors Furniture, Easa Saleh al Gurg Group is among the biggest retail companies in Dubai, they deal with lots of quality international brands, such as Benetton or Dunlop they have the hands in many sorts of businesses, from constructions to fashion. If you are in Dubai and would like either a high quality range of furniture in your flat or house, or you would only like to look around even, then it’s Interior’s Furniture which you should definitely visit.